Sofrito—the foundation of many Latin Caribbean dishes—is a versatile and aromatic puree of tomatoes, peppers, cilantro, onions and garlic. 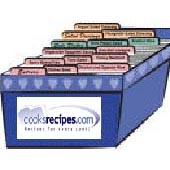 Place ingredients in a food processor or blender and process until smooth and paste-like. Store in a glass container in the refrigerator for immediate use or freeze small portions (1/4 cup to 1/2 cup) for use as needed.